10 min out from the manic downtown Naples, right where you want to be! Vesuvius, Pompei, Amalfi coast and Capri are all easy to reach from this clean and pretty neighborhood. FH&C is in Portici, a quiet and clean neighborhood in the south of Naples, close to a lovely fisherman's harbor, easy to reach in 10 minutes (one metro) from the central station! Ideally located for those who want to visit Naples downtown but also Pompeii and Vesuvius in one day! Or Sorrento and Capri! All you have to do once you are in Naples train station is: go downstairs, take the Circumvesuviana metro line toward Pompei/Sorrento and get off after 10 minutes. You will find us in 10 minutes walking! A Music practice room with drums, guitars and a piano you can use for free and for as long as you want. A big common room (90sq.m.) with sofas and pillows for chatting and relaxing, Sat TV, DVDs, CD player, 3 computers for free internet access and WI-FI, table tennis and more! A special very cheap menu is reserved for fabric guests including pasta, meat dishes and salads from 2 to 4 euros & great offers for dinner in August!!! our great free guidebook with all you need to know to get everywhere! Our staff is ready to help you with all your needs and questions. You can reach the hostel in many ways: from the Central Station there are two underground lines, the Circumvesuviana (the most regular, every 10 minutes) and the Trenitalia (faster but less frequent). Then you can take a bus (recommended just if you arrive between 11pm and 5am, because of the traffic) or a Taxi cab. take a train directed to Pompei/Sorrento/Poggiomarino via Scafati (ticket 1.60 - not the trains marked DD on the time signs that will not stop here! 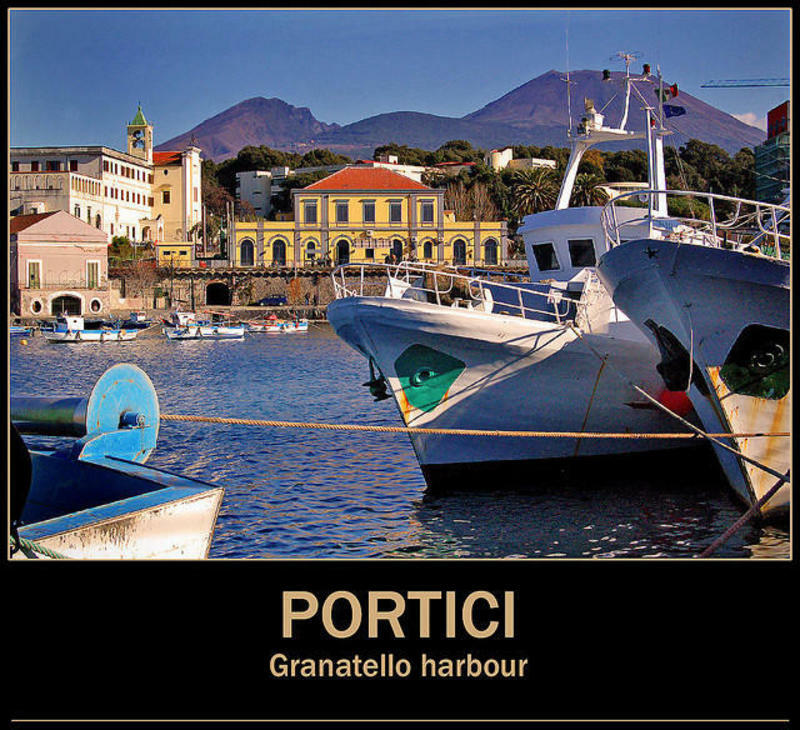 ), and stop in Portici Via Libert. Cicrumvesuviana trains leave every 10-15 minutes, from 5am till 11pm. If you arrive later than 11pm, you can take a night bus leaving from Naples Central Station square (opposite from the station entrance), line # 455 or 457, they have a stop right in Piazza San Ciro. Our street, Via Bellucci Sessa, is the first on the right of the big church: 20meters and you get our main entrance on the right (house number 22). Be patient because sometimes these buses can pass also 30mins distant one from the other. take the 'Alibus' bus (ticket 3) and get off in Central Station square, then follow the directions above.